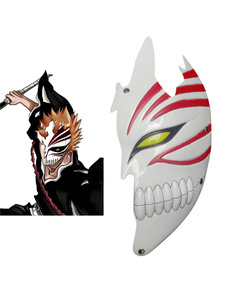 Solve your half mask case with some amazing comparisons in Fancy Dress and General Household including these related brands: 3M, ANZO, ELIPSE, SMIFFYS, HENBRANDT. If you still can't find your prime suspect amongst your half mask results, you should try the category links on the right to drill down, or change your options by using the search options at the top of this page. When you have finished your detective work, you will probably find us useful on your Fancy Dress products. Fancy Dress Day of the Dead Half Eye Mask Includes mask. Rubber Skull Half Face Mask A skull half mask, great for parties and fancy dress. Plus it glows in the dark! Black Sequin Half Face Mask Black sequined mask which covers half the face. 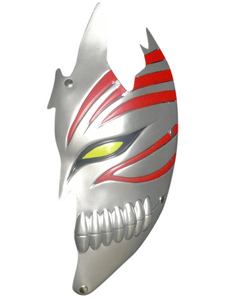 The top of the mask goes uo into two points, like horns. Perfect for Masquerades and Carnivals.